I knew when I first heard Nomadic Matt talking about Missoula, Montana during his book tour a year ago, it was a place I wanted to visit. I did a little research, started following the Visit Montana Instagram (warning: they post photos that will make you move to Montana), and was soon inspired for my own trip to Big Sky Country. Less than an hour and a half flight from Portland, tickets were quickly booked and I put out my blog feelers to see if Destination Missoula would like to work together for my upcoming trip. I knew I would be fond of Missoula before I arrived. It is exactly the type of place I love visiting. A vibrant arts culture, foodie cafes & restaurants, an up and coming craft beer scene, and known to have some of the friendliest people around. It’s also a place with rustic architecture and is incredibly photogenic no matter the season. 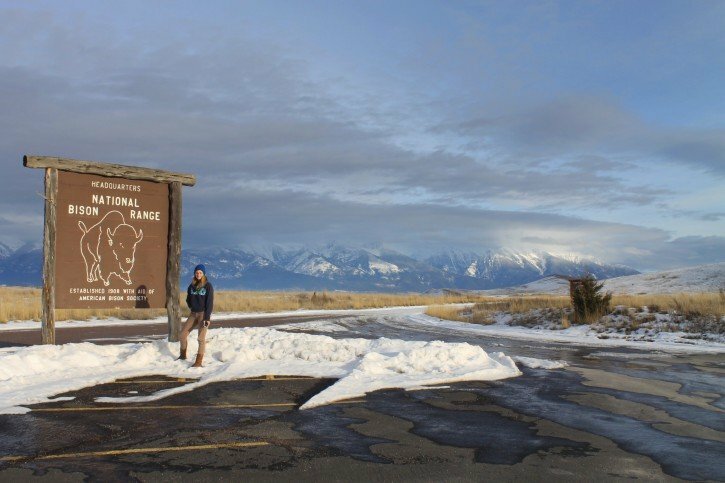 I’m hoping to make a visit back during my USA road trip this summer, but I wanted to specifically see Montana in the winter to experience it in off-season and to discover the true meaning of the season – Montana style. And…it actually wasn’t as cold as I was expecting. Although the fact that it felt like summer when I arrived back in Portland probably just means I acclimated to Montana weather quicker than expected. I spent 4 days in Missoula in total and enjoyed every day I was in town. I spent my time walking around the snow, checking out new cafes, attending local events, and trying the many craft breweries around town. Missoula is one of the largest cities in Montana but it comes off as having very much of a hometown feel. There’s a slower pace in the air, welcoming faces as you walk down the street, and a communal feeling everywhere. 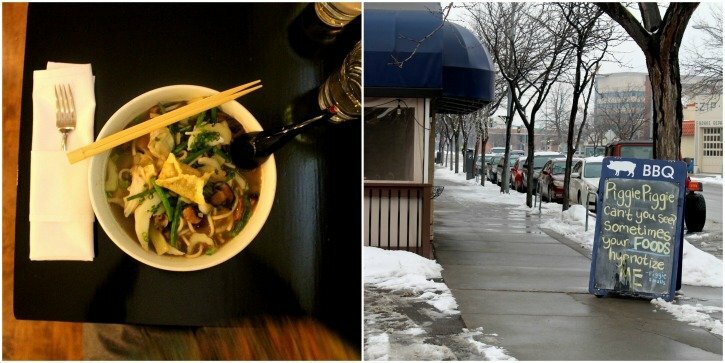 If what I’ve said still isn’t enough reason to see it for yourself, I’ve put together a list of some of my favorite spots and things to do around town in the winter. Missoula is considered the arts capital of Montana, and even though I knew that before arrival, I was still impressed by the many art galleries, funky artwork, and overall appreciation for the finer things in life that I found. My first afternoon I went to the VIBE Gala, which was the Vienna International Ballet Experience competition, and I was blown away by the young international talent that came to the stage. There also seemed to be a huge music scene in a few select venues around town, most notably, the historic Wilma, Top Hat, and even the breweries we stopped at that offered up live gigs most nights of the week. If you’re still hankering for some culture, Missoula also has a FREE art museum. There’s nothing I love more when I travel than finding free museums – seriously, it scores major points with me. 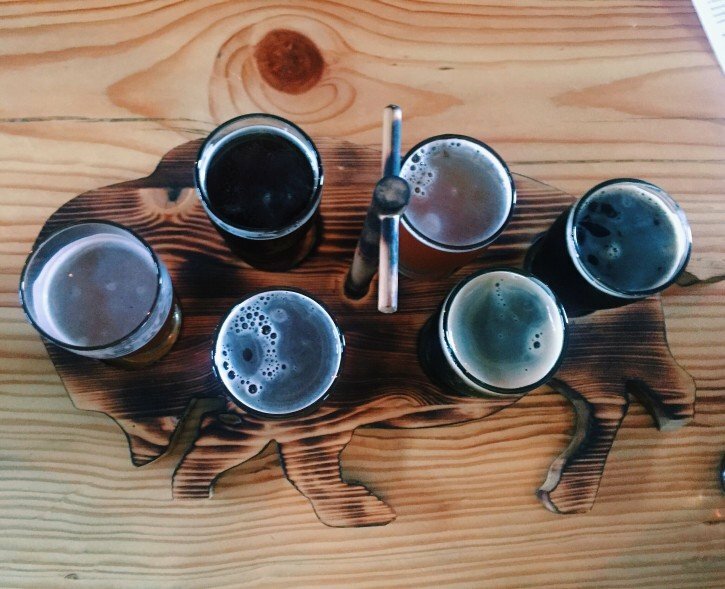 Another aspect that surprised me about Missoula was the burgeoning craft beer scene. If you guys have been following me for awhile, you know I’m always on the lookout for the best craft beer and Missoula did not disappoint. We were told by one bartender that there are about 10 breweries within the city limits and I believe we made it to 4 in total, which is a pretty good effort for the 4 days we had in town. I’ll be writing a separate post on the many craft breweries to enjoy in Missoula, but we stopped by the likes of KettleHouse, Tamarack, Imagine Nation, and Draught Works. If spirits are more your thing, there are quite a few distilleries around town too! We stopped in at Montgomery Distillery for their famous Moscow Mule – actually Moscow Mules in general are just HUGE in Missoula – it should really be called the Missoula Mule. I loved how many events there were every single day around town – in winter! I can only imagine what it would be like in the summer, but I was spoiled for choice with the many options to get involved with the community through a variety of free and/or inexpensive outings. 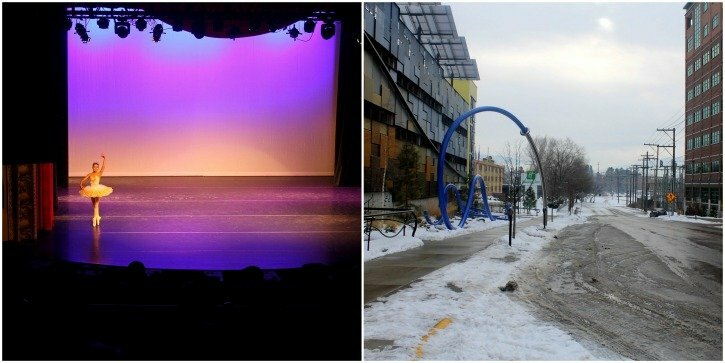 Just in the few days I was in Missoula, there was a free screening of the movie Selma at Imagine Nation Brewing – in celebration of MLK Day, a symphony performance at Top Hat, a full-day of winter activities (even learning how to curl like a boss!) at a local country club, and a handful of community classes, among other events. 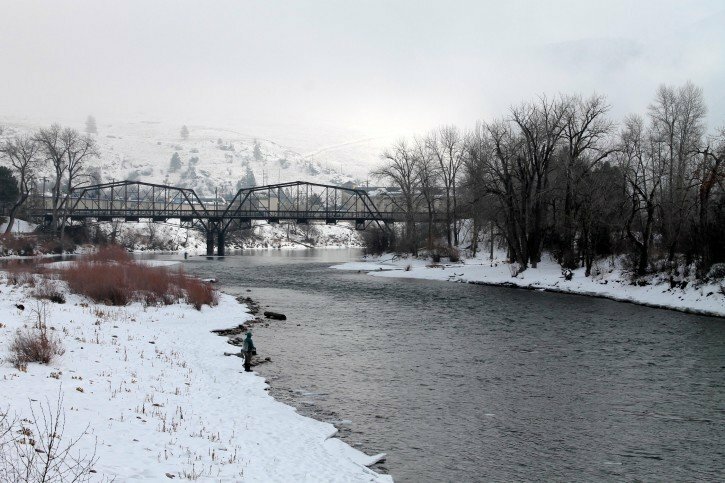 Missoula is definitely a community-centered town and it shows through in the abundance of activities you can join in on at any day of the week for little to no cost. If you want a full list of what to do in Missoula while you’re visiting, take at look at the town events here – you’ll probably be able to find multiple events and activities for any day of the week. I went to school at UC San Diego, which was nice in its own way, modern, and slightly space-esque with Geisel Library. However, I never had the traditional brick buildings and old school atmosphere on my campus. I love touring schools back East with ivy-covered brick and the history felt throughout the corridors. The University of Montana campus gave off very much the same feeling. There were historic old buildings (made of brick, yes!) and the recent snow made everything seem so quiet and serene – a place that’s perfect to write or study. I spent an afternoon just strolling around the buildings, searching for the famous “M” on the hill – sadly covered in snow – and taking out my camera every few minutes to capture the stately beauty of pretty much every building I came across. If you love the feeling of a college campus, I would recommend stopping in to take your own tour. I ate A LOT when I was in Missoula and for good reason. The city is seen as one of the foodie capitals in Montana and there are a variety of cuisines to choose from around town. I loved how many locally owned boutique restaurants there were around every corner. 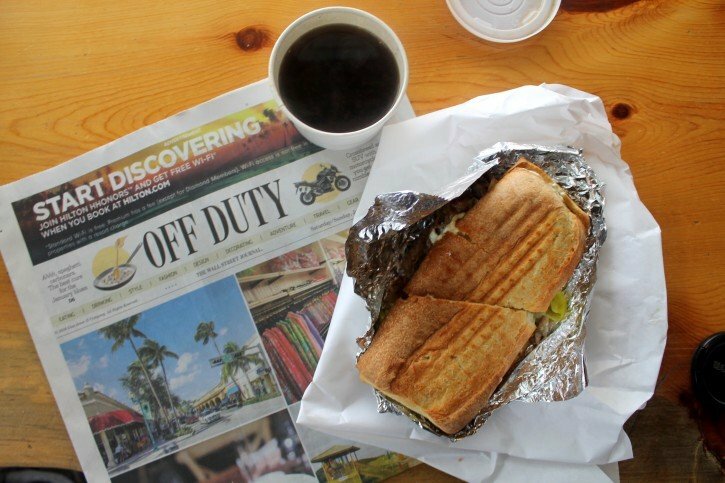 A few of our favorites included the Southeast Asian fusion of IZA, the hippie comforts of Butterfly Herbs, the classy Red Bird, the sandwich-making king, Market on Front, and the MacKenzie River Pizza Co. – which is actually a chain, but still delicious! I’ve heard Ciao Mambo is tasty as well if you’re looking for classic Italian food. It seemed to be a favorite community activity to walk along the Clark Fork River at any time of the day. 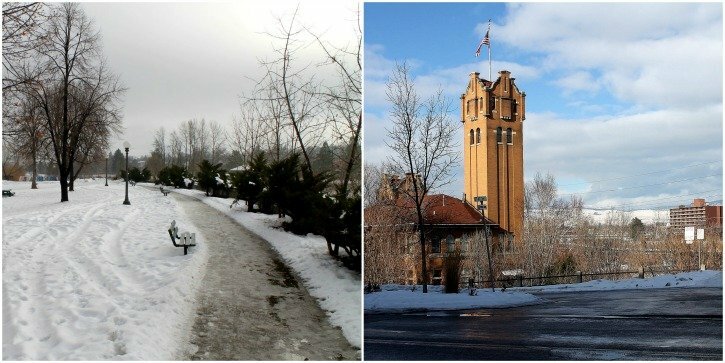 There are trails on both sides of the river and as long as you bundle up, it’s a great way to stay active in the winter and take in attractive scenery in the process. There is also a man-made standing wave that you can see from the S. Higgins Avenue Bridge, and if you’re lucky you can catch the crazy locals that go out in their wetsuits in freezing water to try and surf it. We saw this happen our first night in town when it was SNOWING, and there were two locals just going for it anyway. I guess if you’re from Montana, you have a thicker skin for cold than us folks from other parts of the country. Lastly, if you have enough time, you should take a day trip outside of Missoula as well. The scenery within the city is stunning enough, but once you get outside your jaw will drop from the epic mountain ranges and icy wonderlands you’ll come across. A great road trip idea would be to head out to America’s first official Bison Range to see if you can spot some of the local wildlife. Getting a clear view of the Mission Mountains on your way back to the city would be a well spent detour too. 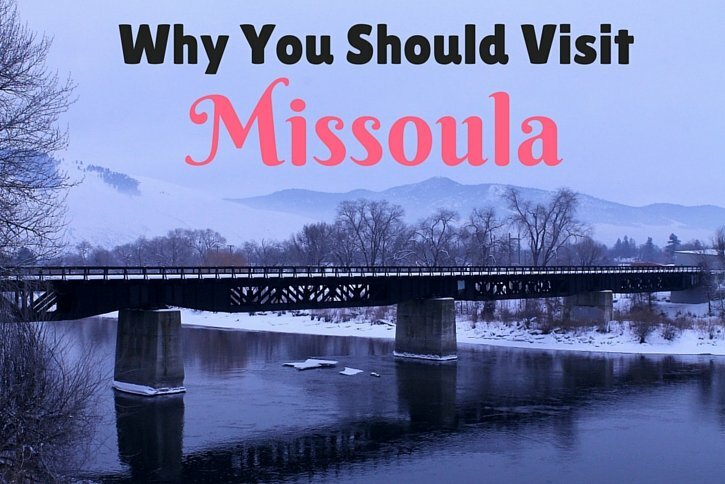 Clearly, there are countless attractions around town to go see and do, but the aspect that drew me to Missoula and made me want to recommend it to you readers is truly its charm. Missoulians understand the true meaning of being friendly for no other reason than to be kind to other human beings. They recognize the importance of community and inclusivity. These were the attributes that stuck out most when I think back on my 4 days in Missoula, the attributes that make me want to come back again someday soon. Note: Destination Missoula was kind enough to host me during my stay, but all opinions, as always, are my own. 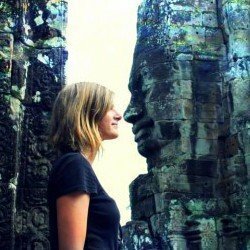 Have you been to a place that you immediately connected with? 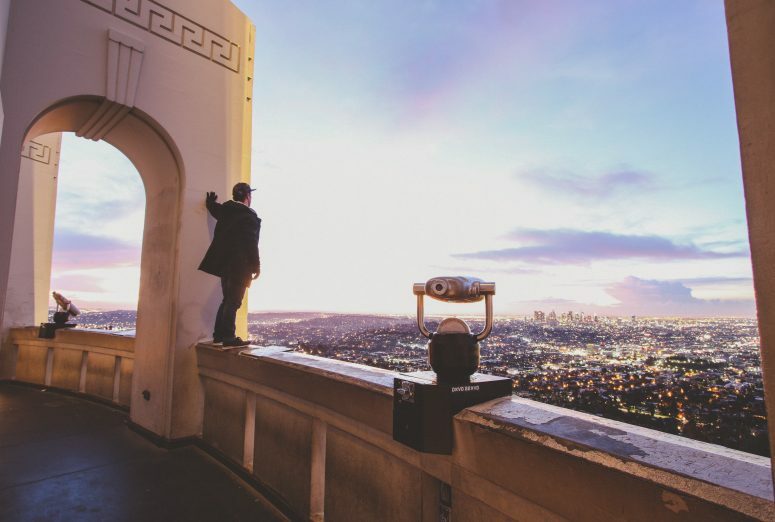 What are some of your favorite cities in the USA? Yes! Craft beer hopping?? I’m sold. Which beer was your favorite. mmmm craft beer! Cold Smoke by KettleHouse has to be the best Scotch Ale I’ve tried. Yum! Thank you Aishwarya! Missoula is definitely a gorgeous place. That looks an absolutely beautiful trip, I bet my hubby would love to go with me. Big Sky Country is such a beautiful place – made my job easy as a blogger, haha. It was way too photogenic! Oh gosh I haven’t thought of Missoula in forever. It would definitely be nice to see it as an adult! I went to college at UM and Missoula has a special place in my heart. This post was so wonderful to read! Walk down memory lane! That’s awesome Rachel – Your alma mater is gorgeous! 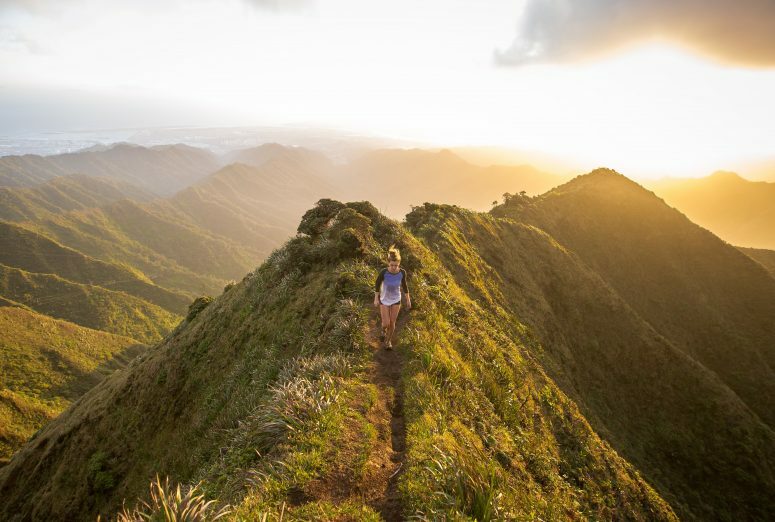 Such a great travel guide! Thanks for sharing. Awesome place to go for all about Great Little Missoula. Trully the last best place. Missoula definitely stole my heart a bit, such a fun place to visit! Awesome post! Our car broke down in Missoula a few years ago, but we didn’t get to truly explore it. The college is on my son’s short list – he’s a high school junior. That might mean that we take a trip out there this summer. We’ll see. Thank you Tara. 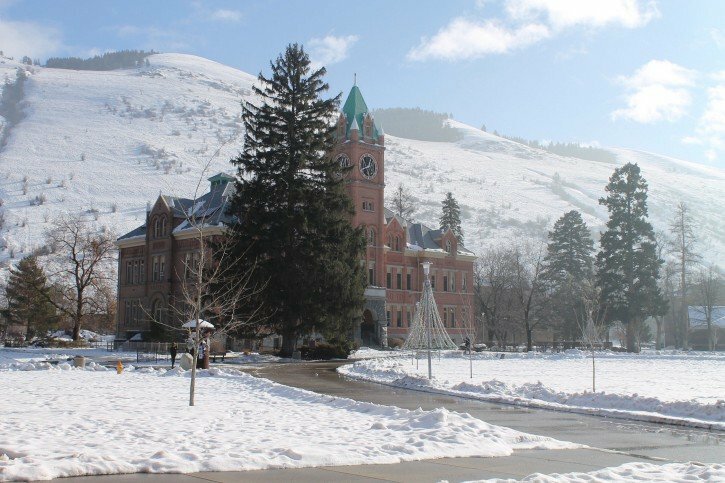 The campus was gorgeous in Missoula (and I’m sure the academics are great too :)). It was a nice college-esque and community-based town to explore for the few days I was in town. Unfortunately, you missed the best restaurant in town, Silk Road. Maybe next time. Oh no! I’ll definitely be checking out Silk Road next time I’m in town. Thanks for the recommendation, Steve. I have never even had Missoula on my radar. This year I think the states are calling my name. So, much in my own country left to explore. Thanks for showing me Montana should make the list! That’s great to hear! I’ve really started appreciating America more since I’ve come back from my time as an expat, definitely so many places to explore here! Montana in the winter – so brave! 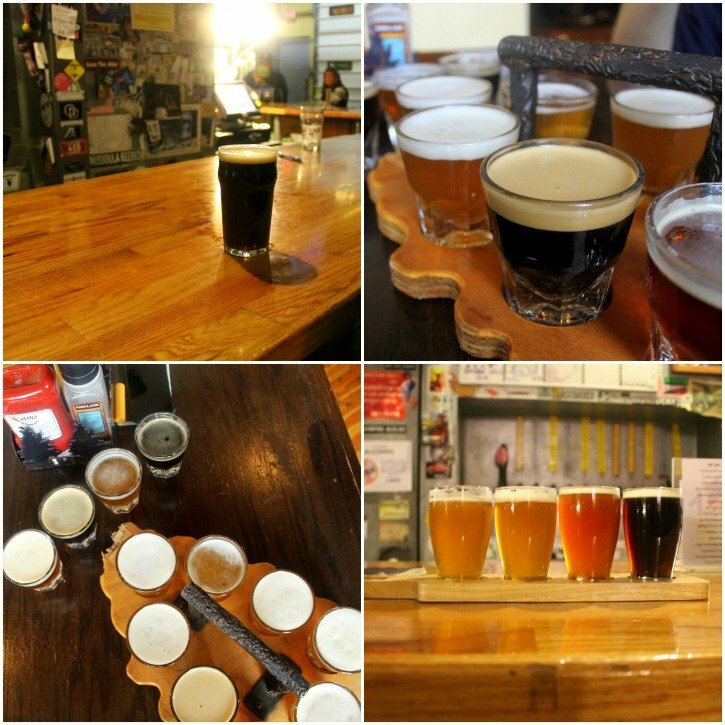 I’ve been missing the craft beer scene back home (I live in NC, where it’s a really big deal these days) and will definitely be looking forward to your beer guide here!! Now go during the summer. Hit the farmers’ market, lunch at Caras Park, then head up 93 to Glacier and stop along Flathead Lake for some cherries along the way. I know! 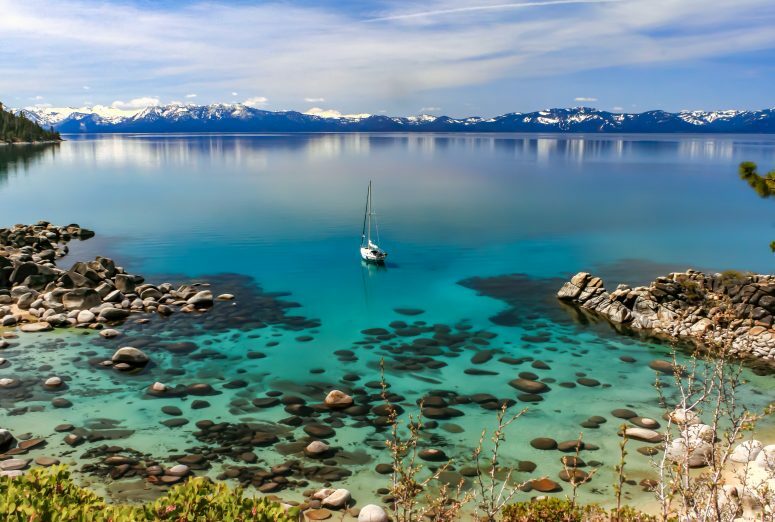 I definitely want to see Glacier and Flathead Lake next time I’m in Montana (and Yellowstone! ), and Missoula in summer would be such a different experience, I’m sure. Spot-on post, thanks from a Missoulian. Come back this summer when we host the Montana Bicycle Celebration, a 3-day extravaganza (and many of the craft breweries in Missoula and the adjacent Bitterroot Valley are involved). 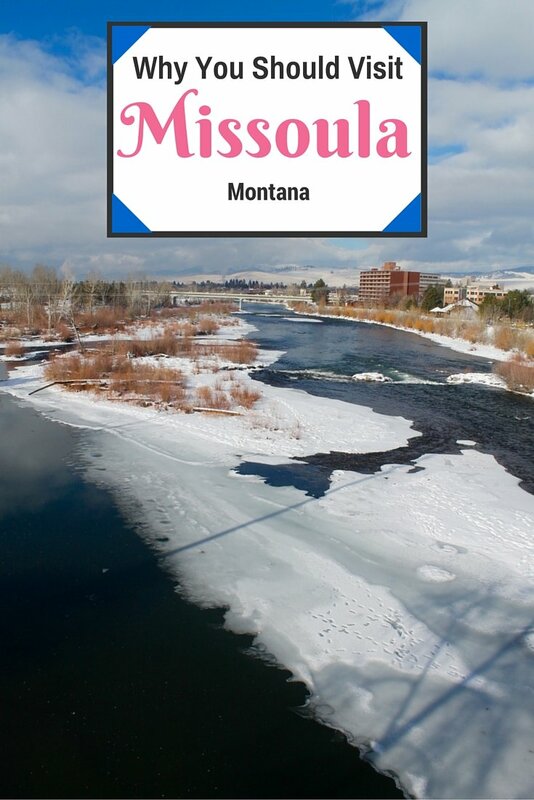 I’m looking forward to experiencing Missoula in the summer! Hopefully I can make it for July, 3 days of biking and beer sounds just about perfect. Thanks for the great post about our town. If you really want to get foodie, try Burns Street Bistro in a redevelopment area on the West Side. And fir everything to do in Missoula, check out MissoulaEvents.net. First Fridsys, especially in summer, are epicly fun downtown. 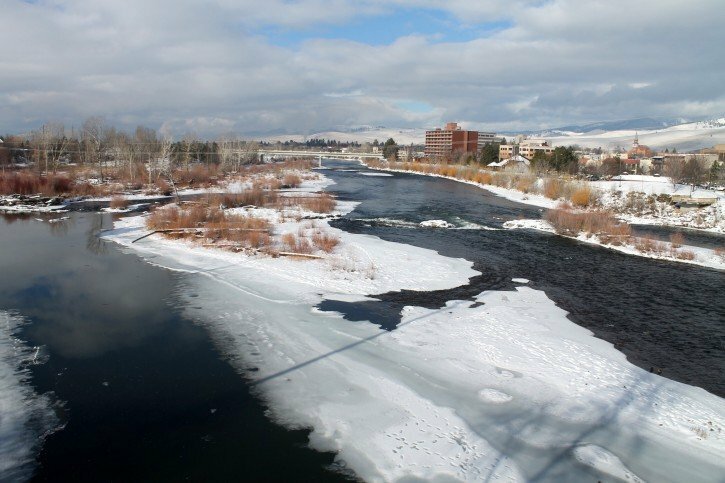 As a native missoulian who desperately misses her hometown I just LOVED this article… You had a great experience but you’ve seen nothing till you come back in the summer…make sure you float the Clark fork on Thursday afternoon ending up at caress park for Out to dinner…the sun stays up till 10…..its my favorite thing!! Thank you Shannon! I’ve heard floating down the Clark Fork River is a MUST in the summer, I’m looking forward to making a visit again soon! Thanks Amy! The Montgomery distillery was such a nice place and the bartenders were super friendly – would definitely recommend. Missoula is the best place on earth… unfortunately who ever told you Ciao Mambo was good is must not have any taste buds. If you want italian food in Missoula go to Cafe Dolce, it’s incredible…. also hands down the best restaurant in Missoula in the Dino Cafe located in the back of Charlie’s Bar.. One more food suggestion, Mackenzie river is garbage but Bigga Pizza is fantastic, and yes has a New York chef so it’s legit. Missoula is an awesome laid back community. One of my fondest memories of Missoula is riding the carousel with my late Mother in law. She was the greatest mother in law any one could ever dream of. Thanks Matilda for the memories. Floating the river was awesome to. Love the down home feeling that is present anywhere you go. That is such a great memory, thank you for sharing Barbara. Missoula really has a way of captivating you, I loved my time there. As a Missoulian, I think that your article was great. Next time you come, it is fun to stroll to all the downtown galleries. (and on spring and summer Saturdays go to the downtown craft market & 2 farmers markets). Thank you so much Sue, that means a lot! I will definitely keep the downtown galleries and the craft & farmer’s markets in mind next time I come – I’m looking forward to when I can visit your lovely city again.